Receptionist is the first touch point of the guests whenever they visit an establishment. This is the reason why applicants who are hired for the position usually have a pleasant demeanor, a great smile, a pleasing and professional personality, and have a great hold of conversational language depending on the situation where it is needed. If you are applying for a receptionist post, you need to make sure that you are ahead of your competitors as there are a lot of applicants who want to get this kind of position. 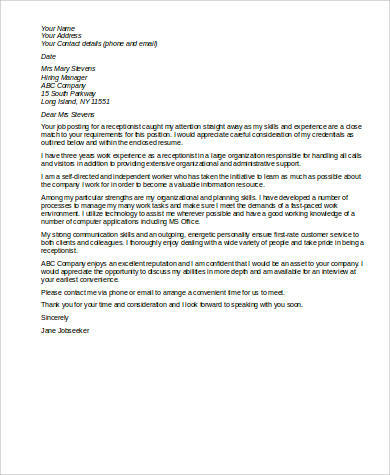 Adding a cover letter to your resume whenever you pass an application is very essential as it can add information about you that may not be seen in your resume. 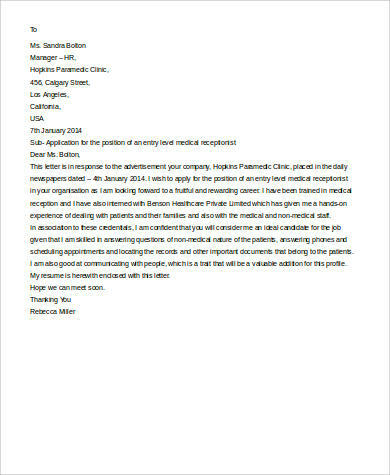 We can provide you with samples of cover letters for receptionists and other Sample Cover Letters used in different jobs. Since your resume already have your technical skills, you can add specific instances where these skills were used in your cover letter. 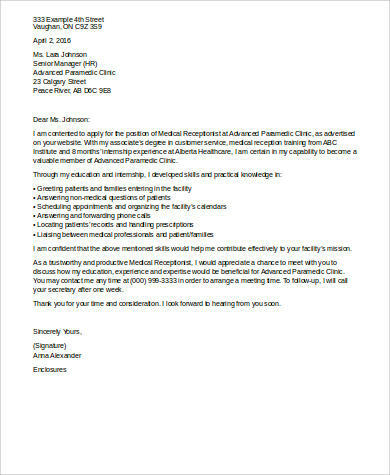 The application of the said skills that are also needed for the job will let the employer know that you can demonstrate the items that you have written in real life. The lack of experience as a receptionist can be covered by the competencies that you already have. These competencies may come from your school training, internship in establishments where you rendered services in the reception area, and the seminars that you have attended tackling about the job description and work functions of a receptionist. 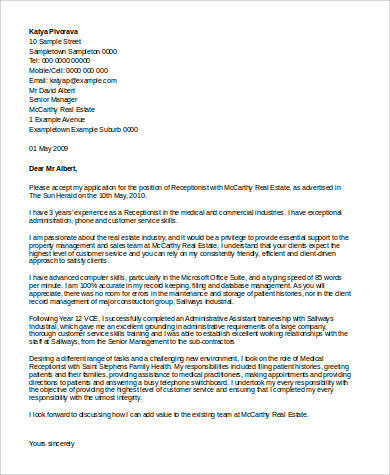 Other than our receptionist cover letter templates, you may also download our Sample Entry Level Cover Letters. The knowledge that you have with regards to the job functions of a receptionist is very important. Nowadays, employers do not just look for candidates who are trainable. They already search for people who are good in what they do and can add value to the company and its business operations. The experiences that you have plays a vital role in adding up to your expertise. 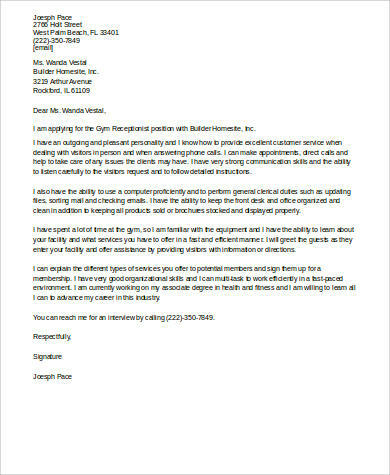 Make sure that if you have related work experiences, you can highlight those not only in your resume but also in your cover letter. Your attitude, work ethics, and character may also be a few of the reasons that can help you stand out. Remember that the post that you are applying for needs people who can communicate well with the clients of the business and assist them in the transactions that they need. Hence, presenting yourself and your characteristics well can give you a step ahead of your competitors. Adding a cover letter when applying for a receptionist job position truly has a lot of advantages to give. 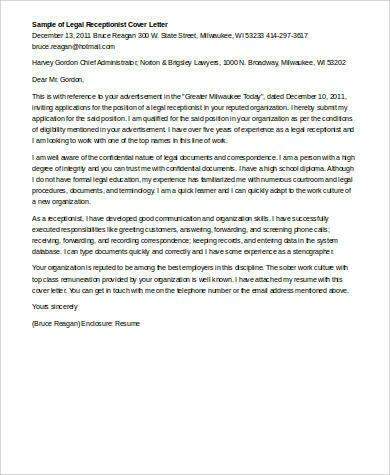 Other than our receptionist cover letters, you may also download our Samples of Cover Letter templates.